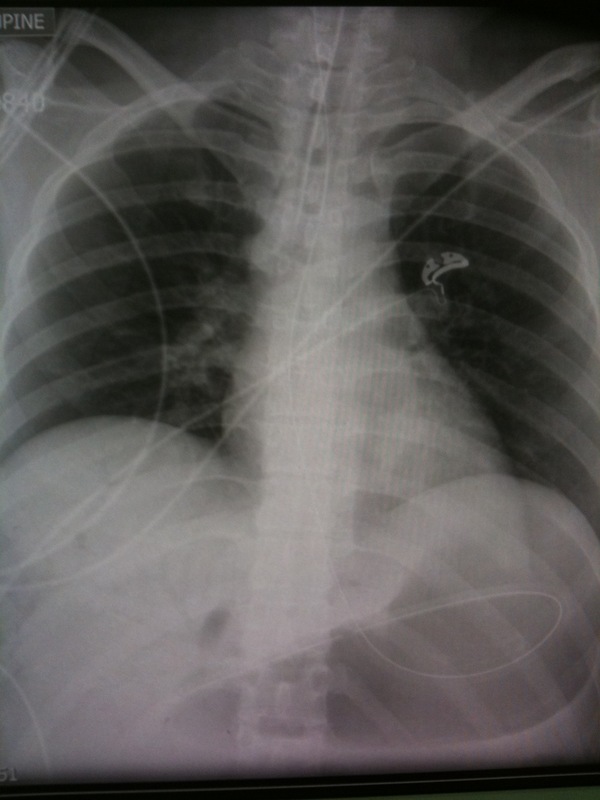 This patient was unstable with high vasopressor requirements, and a worsening lactic acidosis. The CXR shows subtle but definite pathology. What is the diagnosis? To find out more about radiographic findings in these conditions – follow the links. These are from Radiopaedia.org – imaging FOAMed!